T-Bone Burnett On World Cafe : World Cafe Hear an interview with the legendary producer, who reflects on some of the famous albums he's helped make, including Raising Sand and the O Brother, Where Art Thou? soundtrack. In the mid-'90s, Burnett's involvement with the alternative rock scene included Counting Crows' debut August and Everything After and The Wallflowers' breakthrough album, Bringing Down the Horse. Having collaborated with newer artists as well as veterans of the recording process, Burnett shared his experiences while working with Robert Plant and Alison Krauss on their award-winning collaboration, Raising Sand. 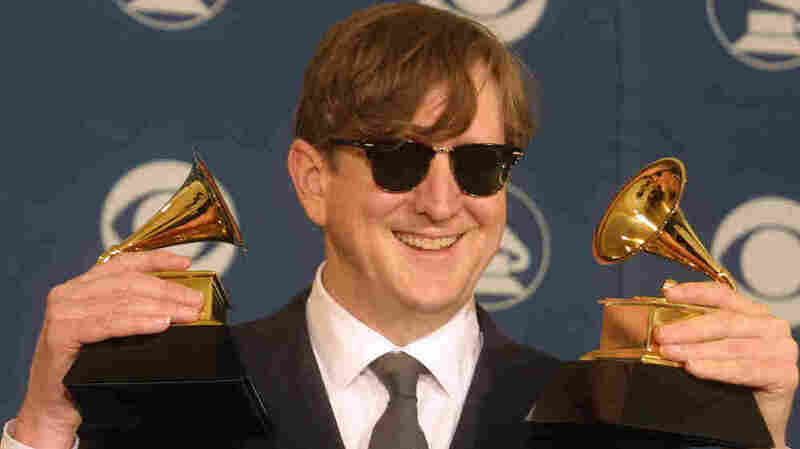 In this interview, Burnett also recalls 2002, the year he won four Grammy Awards for composing and producing the soundtrack for the Coen Brothers' film O Brother, Where Art Thou? — which was instrumental in bringing Americana and traditional folk music back into the mainstream consciousness. Finally, he shares his predictions for the future of the music industry, and what he says is the most necessary thing to do to keep it thriving in the coming decades.